defeated by the above quoted vote. woman suffrage and this minority can be trusted to get out and vote. as it has been so often beaten in Oregon. expansion of national power, is the most glorious success of the ages. been content to be a woman and has not striven to be an imitation man. 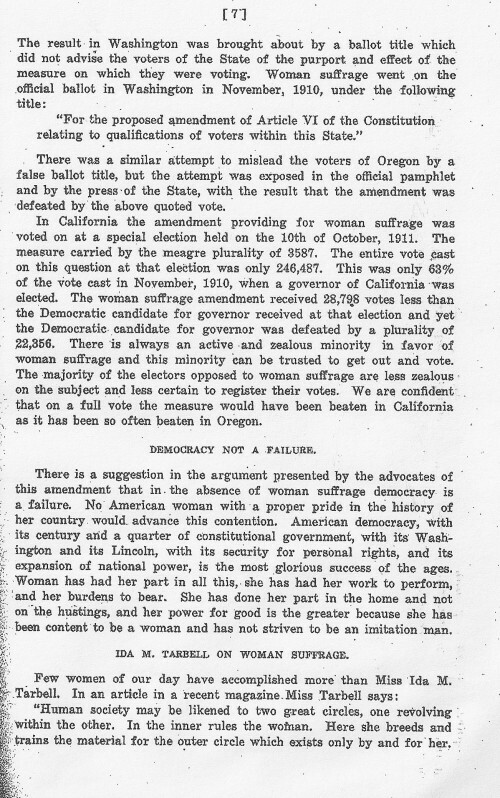 IDA M. TARBELL ON WOMAN SUFFRAGE. Few women of our day have accomplished more than Miss Ida M.
trains the material for the outer circle which exists only by and for her.